Blood flow restriction therapy is a relatively new technique used to maximize strength and hypertrophy (muscle growth) gains during exercise. The technique incorporates a tourniquet which is applied to the area of focus with a personalized measure of pressure. The use of a tourniquet serves to trap venous blood and metabolites from escaping the muscle as well as to decrease the flow of oxygenated arterial blood flow into the muscle. This creates a cascade of anabolic processes which accelerate the muscle’s adaptation to stress, i.e. muscle growth. Current recommendations for strength gains require lifting weights that are at least 65% of what an individual could achieve as a one repetition max. To make the math easy, this means if you are able to bench press 100 lbs only one time before failure, then you would have to exercise regularly with 65lbs for multiple repetitions to improve your strength in this area. However with the addition of blood flow restriction, you would be able to exercise at only 15-30% of your one repetition max (15-30 lbs in this example) to achieve the same strength gains. This becomes important in the rehabilitation field as we are now able to achieve the same results as heavy weight training without dangerously loading the body with excessive weight. Blood flow restriction therapy is not limited only to strength gains. Recent research has proven its use to improve a marker used to measure one’s endurance levels know as your VO2 max. This is defined as the body’s ability to not only intake oxygen, but use it as well. 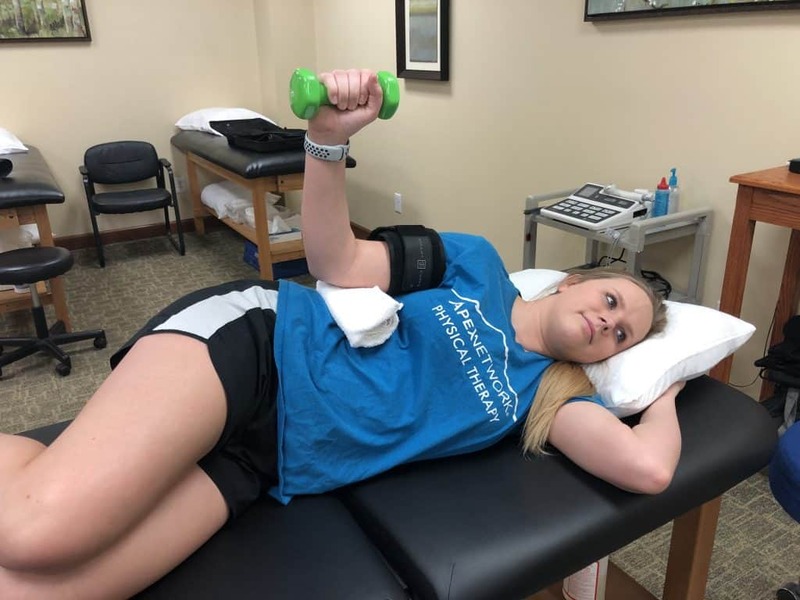 Due to blood flow restriction therapy’s dual use in rehabilitation, we now have an improved the potential for faster, more effective rehabilitation for our patients. Please contact a therapist at the Frontenac location with any questions!